I am absolutely delighted to see Bronagh Holmes Luxury feature in the Designer Profiles in the December issue of British Vogue! With Vogue celebrating their 100th Birthday this year, it's a privilege to get into the last issue of their birthday year. Here's to another new chapter and all that it brings! December issue on sale from 3 November. 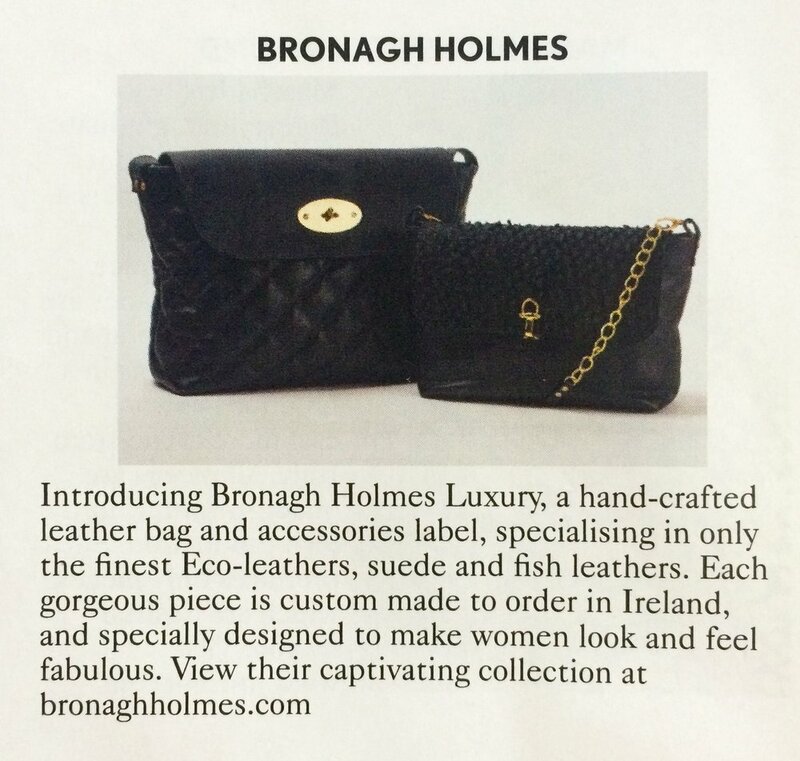 Very excited to see Bronagh Holmes Luxury featuring in last nights The Voice of Ireland - Series 5- Episode 11. 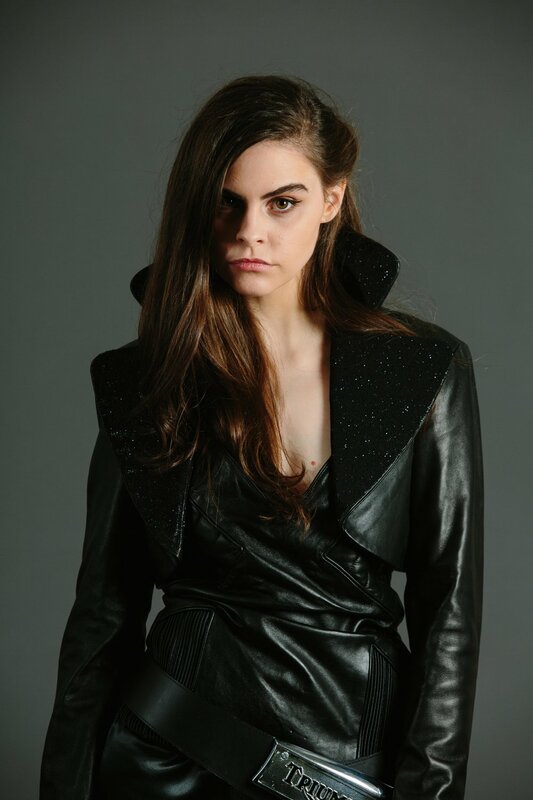 The gorgeous and very talented Nerissa Moore was featured modelling pieces from the Award Winning Graduate Leather Collection and also the beautiful Arwen, Avani and Alana bags from the recent Bronagh Holmes Luxury collection! Bronagh even had an appearance, dressing Nerissa at a recent fashion photoshoot. Nerissa won the battle with a stunning rendition of Bruce Springsteen's - Secret Garden. Well done Nerissa! 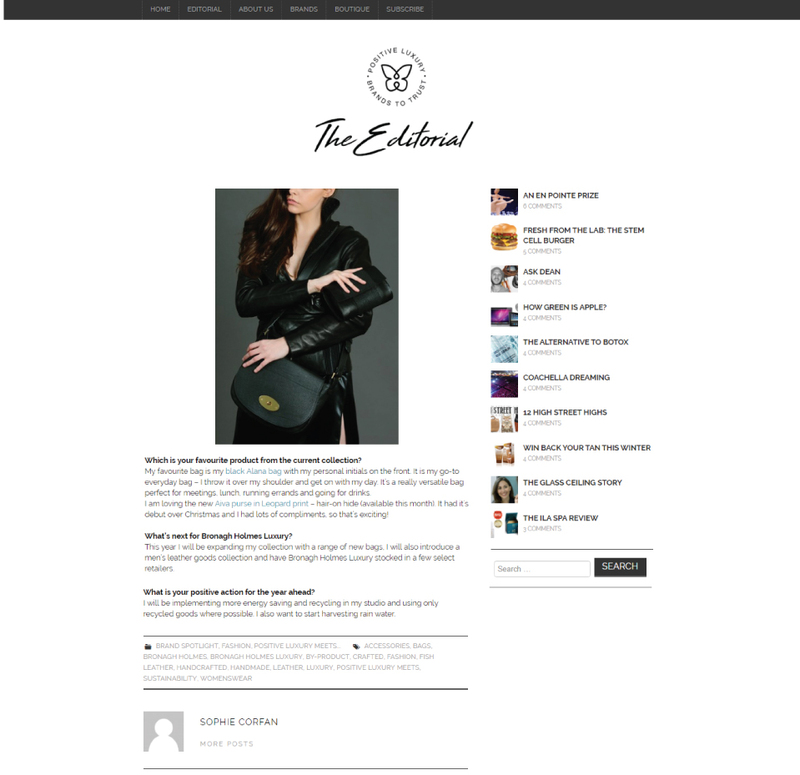 I am delighted to have been chosen to exhibit my New Bronagh Holmes Luxury Hand-Made Leather Bag Collection at the FIRST EVER Fashion Fest Derry, 2014. The Fashion Fest was a huge success to all that participated and Derry City Council really did an amazing job! Here's to this years Fashion Fest being bigger and better! This could be the start of something huge in Derry and Northern Ireland.